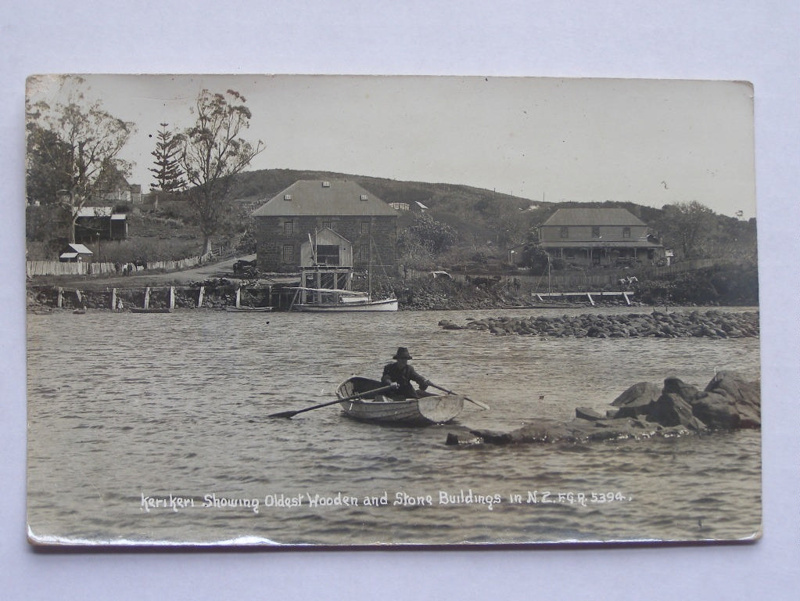 Man rowing on the shore of KeriKeri. Stone and wooden buildings in background. Post card claims that the buildings are "the oldest Wooden and Stone buidlings in N.Z"
Front text: "KeriKeri Showing Oldest Wooden and Stone Buildings in N.Z. F.G.R. 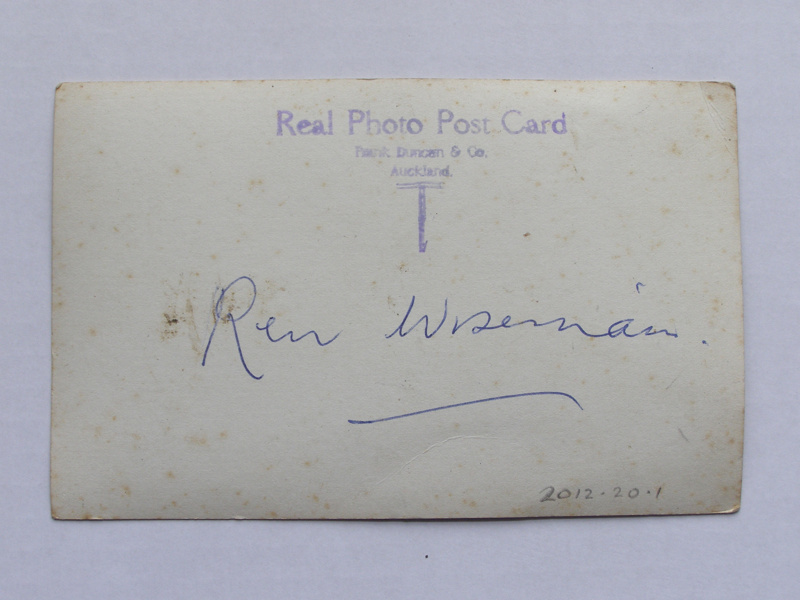 5394"
Reverse: "Real Photo Post Card, Frank Duncan & Co. Auckland"